Since the classic Greek tragedies, communicators have understood the importance of knowing the audience. And it’s still true today. How can you deliver a message without understanding the mindset of the people you’re speaking to? In today’s marketing environment, communication professionals still chase audiences to sell something to—either for themselves or on behalf of clients. But depending on the industry involved, there are at least two ways to approach the task: Some industries target audiences; others create them. It’s important to understand the attributes and characteristics of potential buyers of your product or service. And technologies like social media and data analytics give us the ability to mass-customize—to sell efficiently to millions of individuals. This can be accomplished with primary research (i.e., original surveys commissioned to answer specific questions) or secondary research (existing, more general studies used in a variety of applications). Research helps establish details about people who are already likely buyers. For example, if you’re selling disposable diapers, detailed research on recent mothers would be of great value. At the same time, in-market testing can give you details about the broader potential market for your product or service: the larger universe of people who might conceivably have an interest in what you’re selling, given sufficient motivation. This kind of research can tell you about the attitudes of people who shop the stores where you sell. Fathers, grandparents and other shoppers, though not the primary audience, might add to the universe of potential diaper buyers. Targeting them with in-store promotions might yield incremental sales. You can even analyze members of this larger segment to see if different messaging might influence them more effectively. That might build the size of your target audience, which you can reach with variable messaging that’s relevant to each segment. 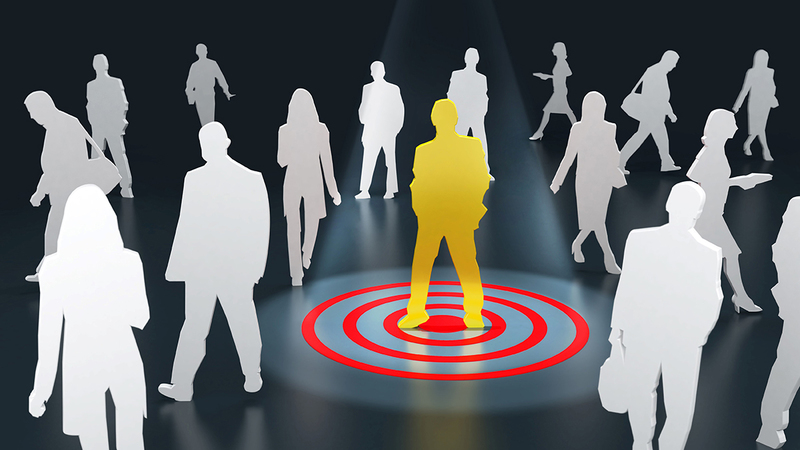 As you analyze your target segments, you can also overlay credit, psychographic and geo-demographic data to build an even clearer picture of (a) who you’re selling to and (b) how to tweak the messaging for maximum appeal to each group. You can adapt your product, as they do in the credit card industry, in ways that track the customer’s evolution through various lifecycles. These examples focus on industries that target their audiences for a product that already exists. What about industries that reverse that process? There are companies whose business is to create audiences first, then selling into that prospect pool. Television is a prime example of an audience creation industry. Entertainment media create content and programing to create and attract an audience. Only then do marketers sell ads to industries whose product appeals to the segments of that audience. Another example: ultra-high-end credit cards. With research suggesting there might be an audience, lenders created cards like AmEx Centurion and MasterCard Black. Only then did they identify and target potential buyers. It’s a strategy that works well when supported with continuous research to refine the target segments and create messaging that resonates. One model is finding an audience while the other is creating one. In both approaches, it is fundamental that your strategy be informed by facts, backed by data and analyzed to create actionable insights. These are core strengths at Creative Solutions. Contact us at 302.543.8533 or email us to schedule a free consultation.